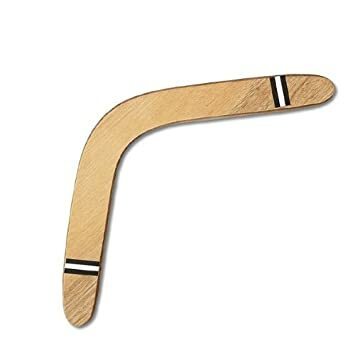 I've always wanted to use a boomerang and see it somehow curve and come right back to me. As of right now, all I can do is explain the physics behind it to whoever is reading. Anyways. When thrown from one end, the top end instantly has a higher airspeed. The boomerang itself is crafted with whats called an airfoil. The airfoil is a curved shape, if you took a cross section of the boomerang, that allows for lift and drag to act upon the boomerang. This then causes the toy to 'fly' in the direction thrown, but the higher lift on the top end creates a torque, thus causing the angular momentum to gradually shift and causes the boomerang to curve mid-flight. And the amazing part is that it is supposed to end up pretty close to where you threw it from. Crazy cool physics!